Well, I’d like to go forward and make new things. I think Ghostbusters probably should be remade, if we can get it all right. We’re working on it, so we’ll see. Nope, you didn’t miss anything. That’s the whole thing. So why the general Internet-based hand-wringing? Because Reitman said “remade,” and now people are worried that Ghostbusters is getting a whole reboot, and not just a sequel. And yes, he may well have been using the word “remade” in the loosest possible fashion, a fashion that may well encompass a sequel or a reboot or an NC-17 version with strategically torn jumpsuits. And yes, he also basically said that nothing is happening on Ghostbusters 3. Just like it was yesterday. Just like it’ll be tomorrow. But I don’t blame the fans. Of course not. They’re good, invested, curious consumers, snapping at any crumb brushed off the table. I’m blaming you, creative team behind original Ghostbusters franchise: Please, for our sanity, stop feeding the cycle until you have some solid information to share. No interviews, no press releases, no sky-written messages. 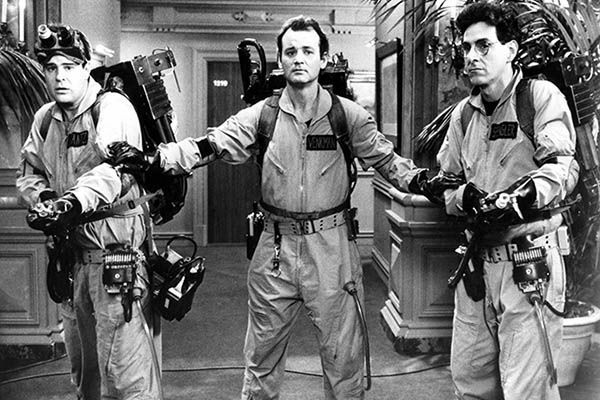 Let the Great Ghostbusters 3 Rumor Mill cycle off and die. Do it for yourselves, and for us and, most of all, do it for Bill Murray.